North America Forum»Forum ›League of Angels ›Support › Fail Daily CheckIn for Theme Page!!!!!!!!! Fail Daily CheckIn for Theme Page!!!!!!!!! Moderators Please look into this matter. It finally allowed me to click on the 15th, which is now highlighted. However it hasn\'t given me anything in the log; and the game still shows the event hasn\'t started. 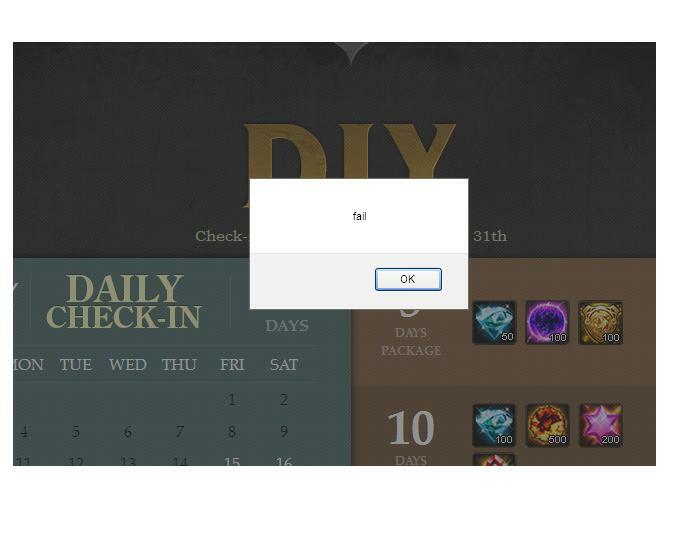 Still can\'t Login.... I really want the rewards....Please help. If you are aware of this issue, then at leas tell us players that you are doing all in your power to solve this....What you are saying is just trying to find a loophole in our complaints. I am sorry to be blunt but i hope this issue is solved quickly and we can expect a better answer than Yes we are aware. Also i am sorry if i have hurt anyone\'s feelings...I am usually not this angry but my last 4-5 complaints on different subjects have been completely ignored(the problem being on the coder\'s side) while the posts which are written a mere seconds later than mine are answered. I hope I get a better response from next time and i am sorry again for being rude. 2019-4-27 00:26 GMT+8 , Processed in 0.065747 second(s), 52 queries .